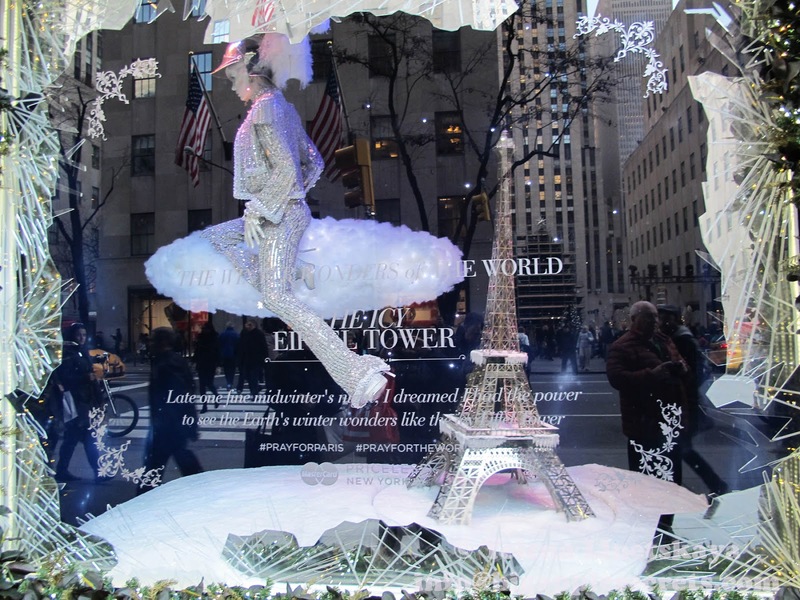 Typically five million visitors come to the city between Thanksgiving and New Year’s Eve . 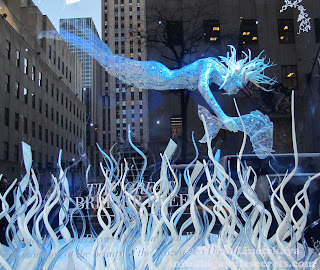 Saks department store on Fifth Ave sits in the middle of action- near Rockefeller Center Christmas tree. 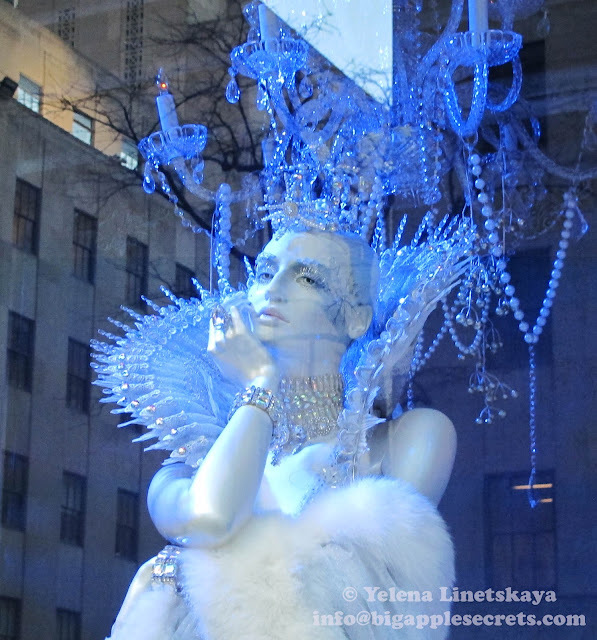 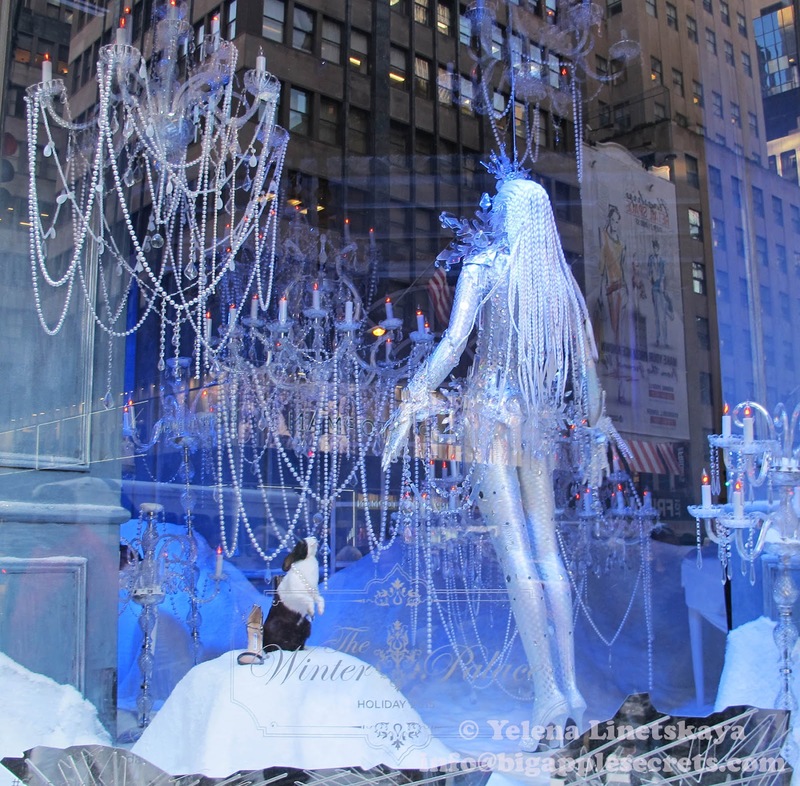 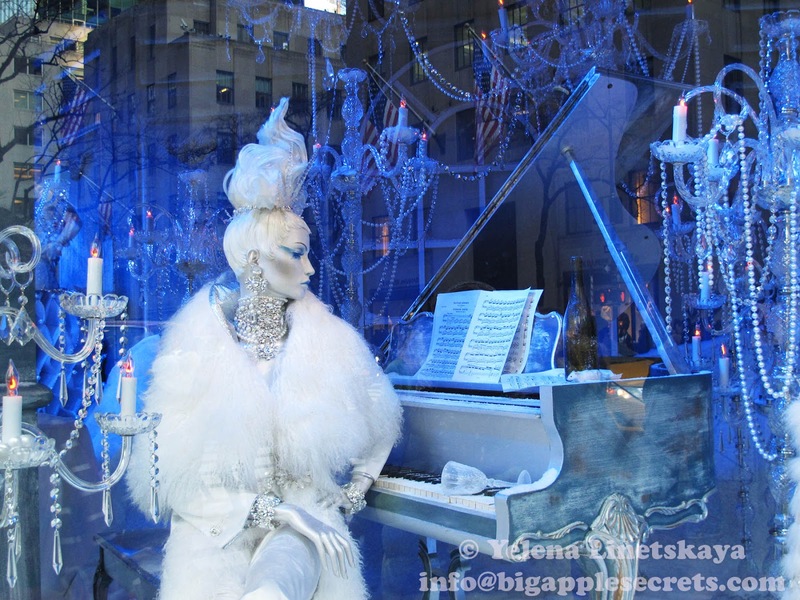 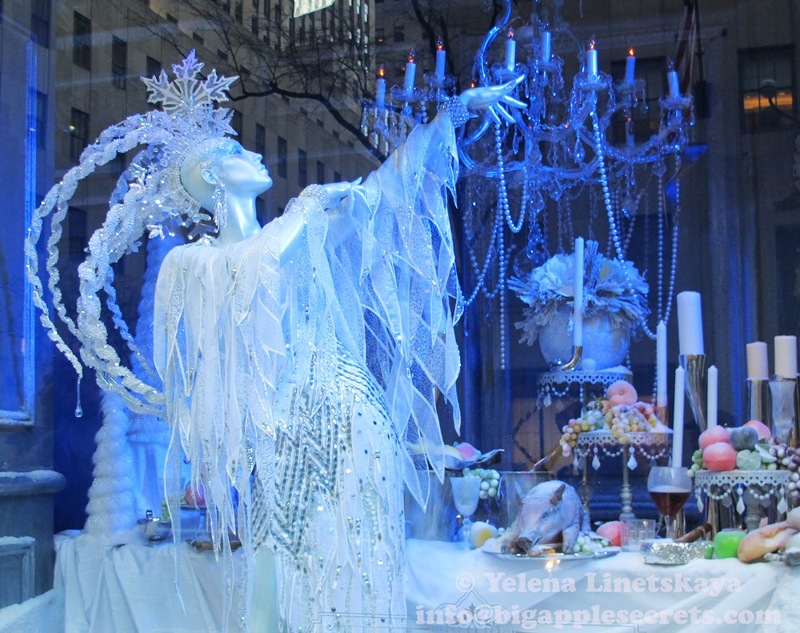 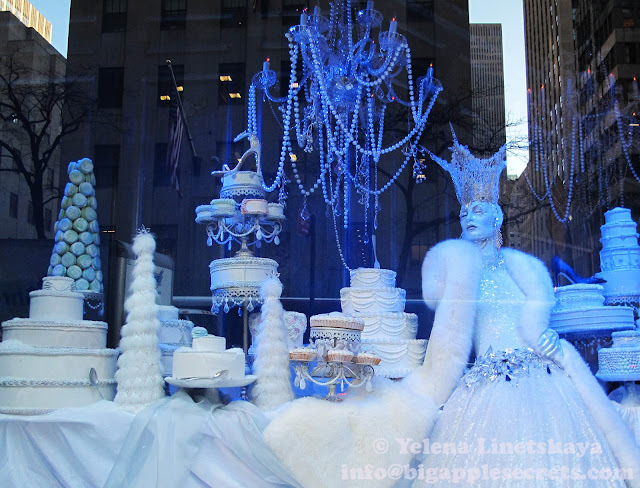 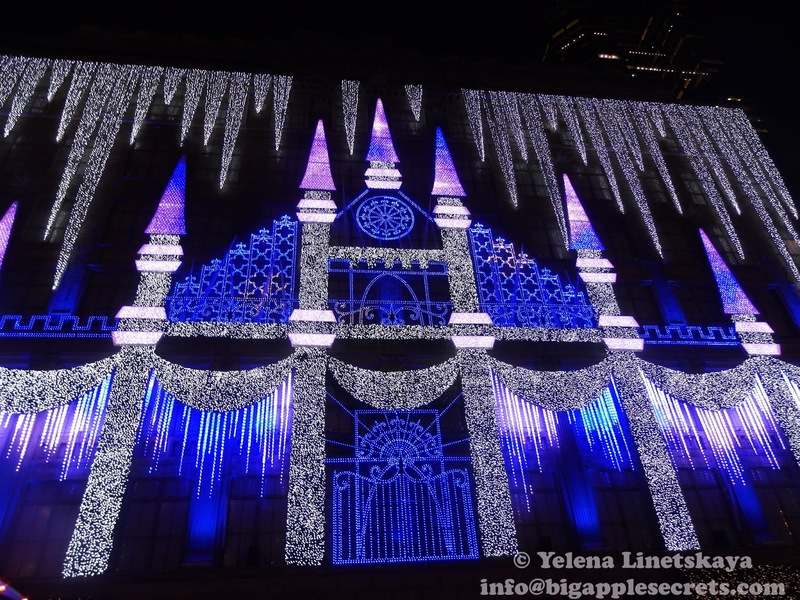 For 2015, Saks filled the holiday windows with wintery version of some of the world’s greatest natural and man-made wonders—an icy Coliseum, a snowy Great Wall of China, a frozen Great Barrier Reef. 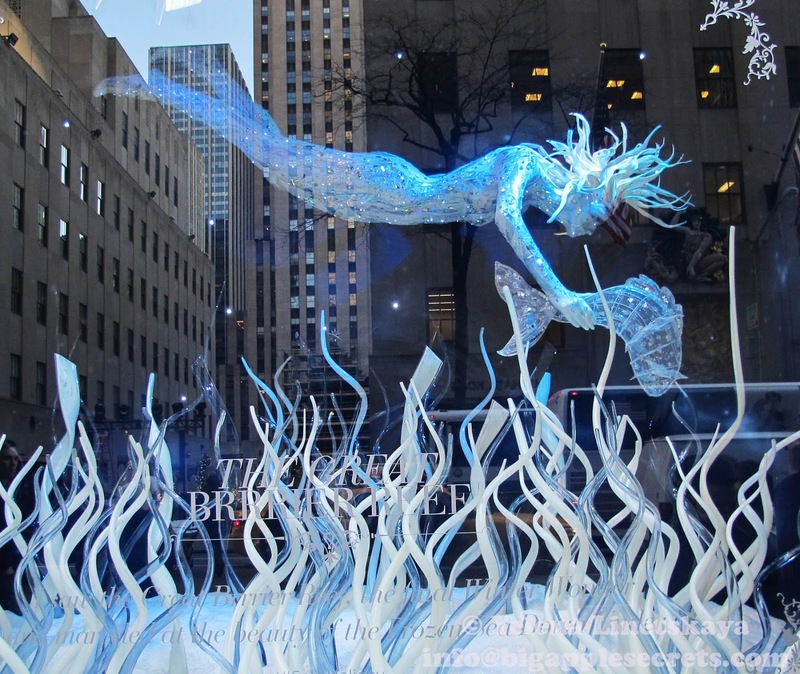 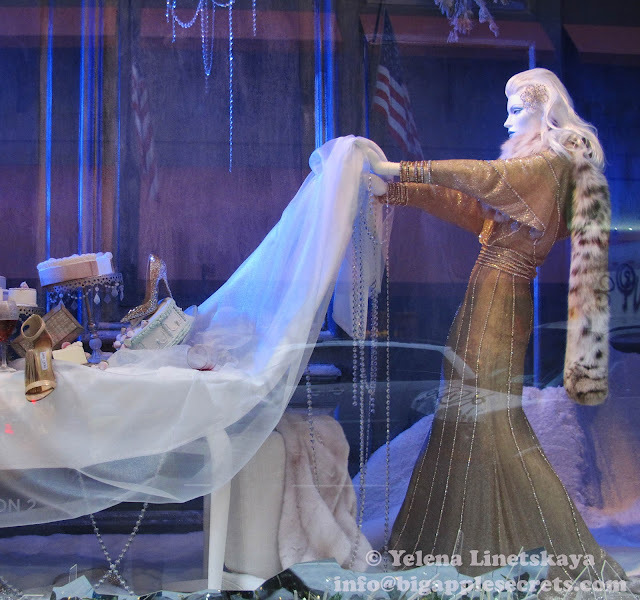 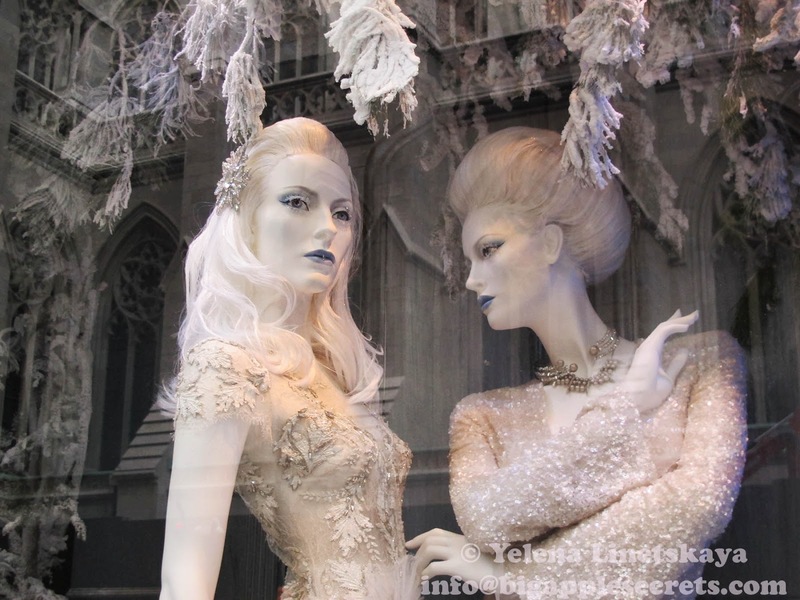 Saks Fifth Avenue reimagines them and transforms them into remarkable wintry fantasies. 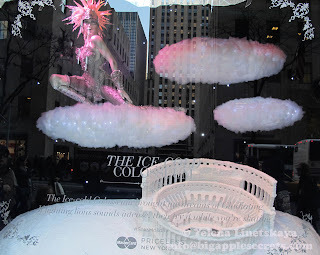 Mannequins can be seen enjoying winter wonderland-style finery, lounging on clouds above the spectacular sites, while wearing a variety of this season's most extravagant fashions. The mannequin in the Taj Mahal window has a spectacular turban, figure posing alongside the Coliseum models has an impressive strapless metallic corset. 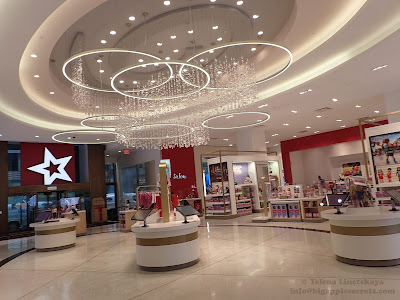 "I am constantly amazed with the creativity and talent of the Saks Fifth Avenue team," commented Marc Metrick, President, Saks Fifth Avenue. 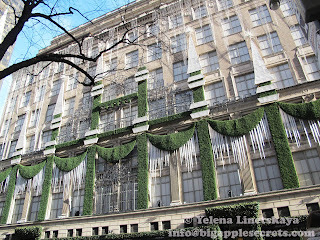 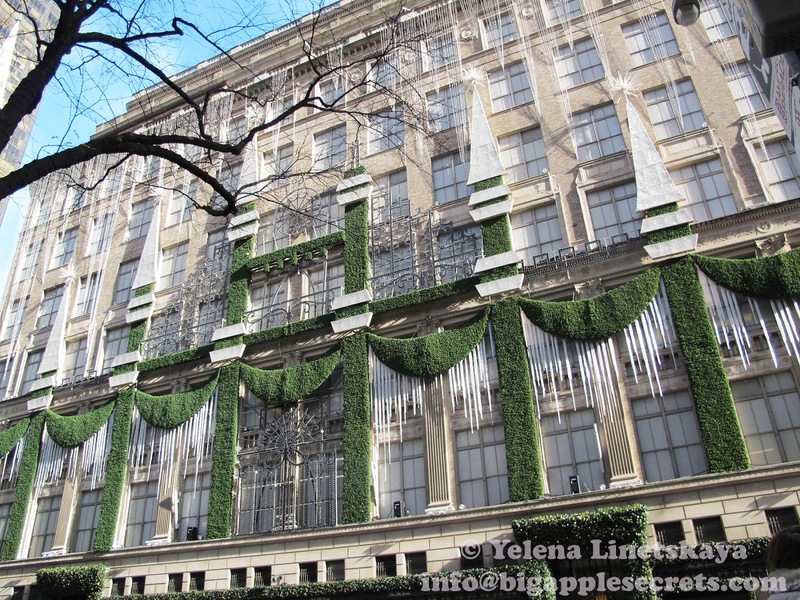 "Utilizing new technology and with a fresh take on the winter wonderland concept, Saks Fifth Avenue has created something legendary with The Winter Palace."